This year's edition of the Literary Traditions Festival will feature Bill Johnston, the winner of the following awards granted by the Book Institute: the Transatlantyk Prize and the Found in Translation Award, the author of the latest translation of “Pan Tadeusz” into English. Johnston is also a translator of works by Juliusz Słowacki, Wiesław Myśliwski, and Witold Gombrowicz. The meeting will be hosted by Dr Marcin Hamkało. 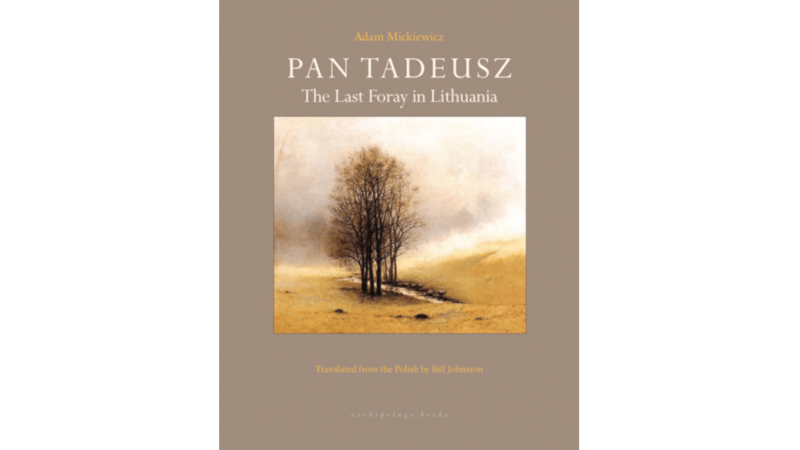 Bill Johnston is the winner of the Transatlantyk Prize and the Found in Translation Award as well as the author of the latest translation of “Pan Tadeusz” into English entitled Pan Tadeusz: The Last Foray in Lithuania (Archipelago Books, 2018). During his studies (Russian and French philology) at Oxford University, Johnston received a scholarship for a Polish language course at the University of Warsaw. He is particularly connected to Cracow and Wroclaw. He lived in these cities after graduation, in 1983-1991, and worked as an English language teacher on behalf of the British Council and as the director of the English Language Centre. His students from that time include professors Jerzy Jarzębski, Leon Kieres, and Tamara Trojanowska, to name a few. He lives in the USA. Currently, he works as a translator and professor of comparative literature at Indiana University. Johnston has translated about 30 books and 53 shorter pieces from Polish. He translated Old Polish literature (Odprawa posłów greckich [‘The Envoys’] by Jan Kochanowski), romantic literature (Balladyna [‘Balladina’] by Juliusz Słowacki), writers of the late 19th century (Przedwiośnie [‘The Coming Spring’] and Wierna rzeka [‘The Faithful River’] by Stefan Żeromski, and Grzech dzieciństwa [‘The Sins of Childhood and Other Stories’] by Bolesław Prus), then many 20th-century classics, especially Witold Gombrowicz (Bakakaj [‘Bacacay’] and Wspomnienia polskie [‘Polish Memories’]), short stories by Gustaw Herling-Grudziński, novels by Andrzej Szczypiorski, poems by both Krzysztof Kamil Baczyński and Tadeusz Różewicz. He is also a recognised translator of the latest Polish literature: works by Magdalena Tulla, Andrzej Stasiuk, Eugeniusz Tkaczyszyn-Dycki, Tomasz Różycki, as well as selected poems by Krzysztof Koehler, Julia Fiedorczuk, Wojciech Bonowicz, Mariusz Grzebalski, and Dariusz Suska. The meeting will take place as part of the second edition of the Literary Traditions Festival on 13th October 2018 at 4 p.m. in the Pan Tadeusz Museum (Rynek 6, Wrocław). In autumn 2017, the Pan Tadeusz Museum organised the first edition of the Festival of Literary Traditions. It was devoted to the connections between Adam Mickiewicz and Tadeusz Różewicz. This year, the festival began on September 4th with an exhibition Juliusz Słowacki and Zbigniew Herbert comment on the Pan Tadeusz Museum. Apart from the exhibition, the programme of the festival includes theatre workshops, family workshops, meetings with translators, creative writing classes, workshops of poetry in sign language, art workshops for the patients of the Lower Silesia Centre for Mental Health, a conference for teachers, an academic conference, a poetry slam. There will also be a premiere of a new literary magazine published by the Pan Tadeusz Museum entitled "Interpretations". The Literary Traditions Festival is financed by the Ministry of Culture and National Heritage, as a part of the Culture Promotion Fund.